Brett Forsyth celebrated his 200th Premier match in style today with his 14th century for Dandenong. 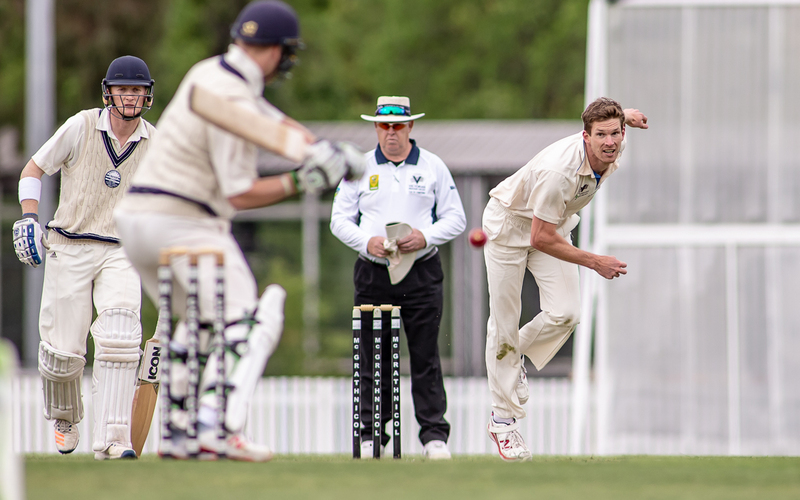 With skipper Tom Donnell (65), the pair also notched their 14th century opening stand for the Panthers, who finished on 8/275 against Monash Tigers at Shepley Oval. Leggie Tom O'Connell took 4/88 for the Tigers. Highest total for the day was registered by St Kilda (5/378), with Ben Davies (133) and Josh Manning (137) enjoying the return to the Junction Oval. The pair shared a 249-run second wicket stand against Northcote. It was Manning's second Premier ton and Davies' first. Prahran was next best with 5/366 against Greenvale Kangaroos at Greenvale. Opener Adam Bull (151) was the mainstay with his fifth Premier century, with Jacob Serry (65) playing a support role. Geelong and Melbourne Uni are interestingly poised at Uni. After dismissing the Cats for 188 (Tim Ludeman 53, Steven Reid 4/35), Melbourne Uni is 5/57 in reply at the close. Casey-South Melbourne recovered from 5/125 against Camberwell Magpies to post a respectable 9/329. Michael Wallace (125) and Devin Pollock (83) added 161 for the sixth wicket to get the innings back on track. Their stand broke the previous club record of 153, set by Lindsay Hassett (143) and Ken Aldenhaven (53*) against the Demons in 1946-47. David King (131) held the Ringwood innings together against a tight Footscray attack at the Merv Hughes Oval. The Rams finished on 6/249. Essendon is in a strong position at stumps at Windy Hill. After dismissing Kingston Hawthorn for 204, the Bombers are 1/86 in reply. 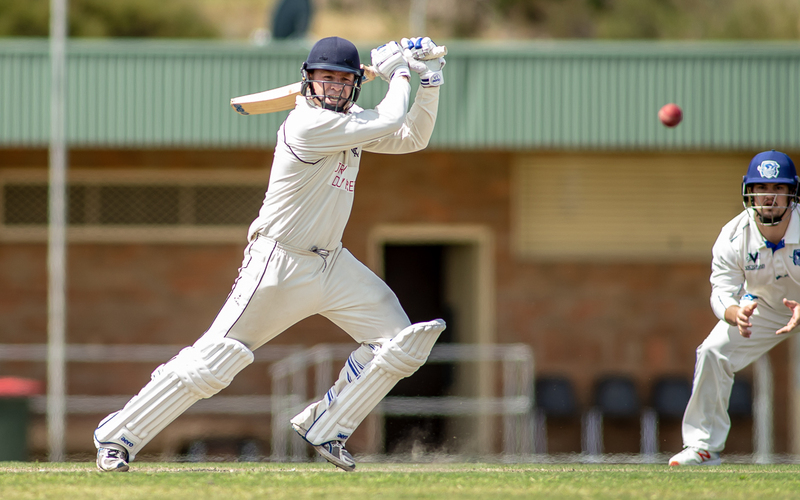 In other matches, Carlton (296 (Xavier Crone 75, Harry Smyth 62, Nick Ross 51) and Frankston Peninsula (1/8) are evenly poised at Princes Park, as are Melbourne (9/266 - Sam Harper 62, Sean Sturrock 50*) and Fitzroy Doncaster at Schramms Reserve.